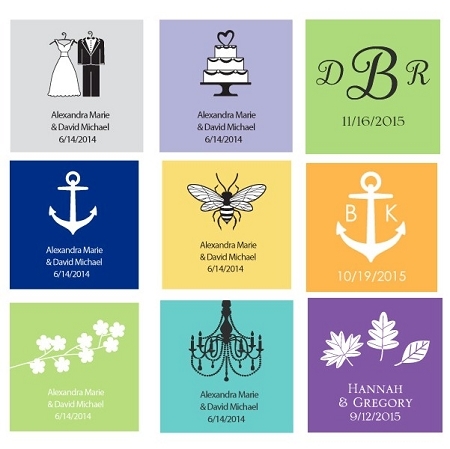 These personalized square stickers are great gift tags and favor tags too. Use them as closure labels for save the dates, invitations, and treat bags or as custom labels for wedding favors. 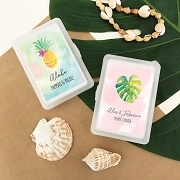 From gift bags, to favor boxes, jars, and more, personalized labels add a special detail to your celebration. Choose your favorite design and add a special message, a monogram, or your name and the date of the celebration. 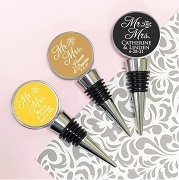 We believe it's the little touches that wow guests and make your event memorable, and personalization has the power to elevate favors from unique to uniquely yours! Whether you’re preparing for your wedding, birthday party, baby shower, or any celebration in between, your style will shine with these labels and tags from Kate Aspen. We offer fresh, eye-catching designs in a variety of colors and patterns so there's something for all you celebrate.